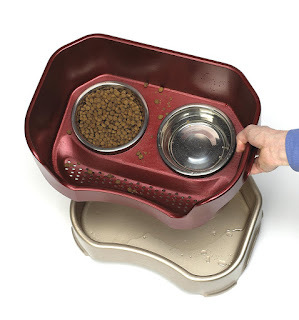 What do you think of this Neater Feeder Cat/Dog Bowl? -- Neater Feeder is the world's first pet feeding system for dogs and cats that contains spills and splashes and separates spilled food from spilled water. Spilled water drains into the lower reservoir while spilled food stays off the floor, so it can be safely reused or easily discarded! Just went to the site and the calendars are no longer available. At least that is what it told me.